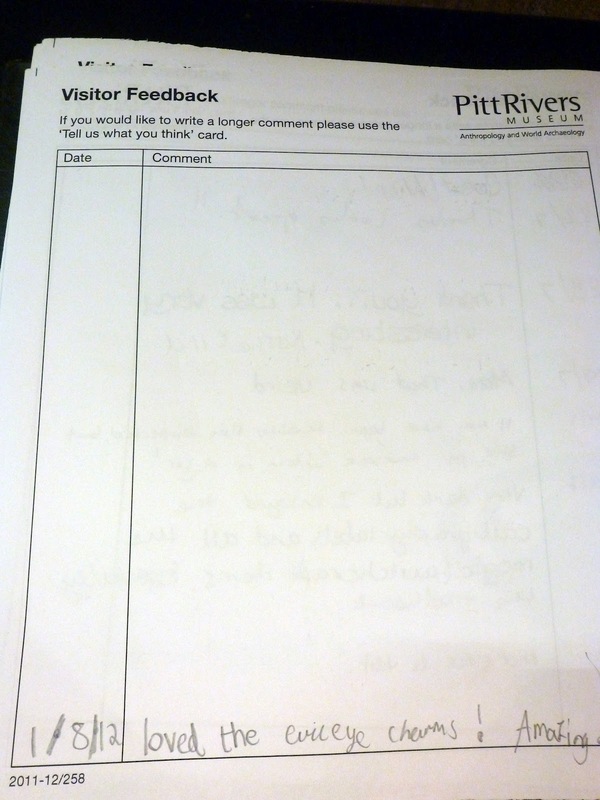 Our Comments Book is a great way for us to find out what our visitors think - what they like about the Museum and what they think could be improved. I thought I'd share this comment as it is evidently from a fellow amulet enthusiast. Well, when you've got something important to say, you need a whole page! Small Blessings website now live!